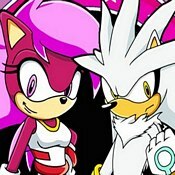 Description: The S Factor Sonia & Silver is an all new fan created adventure based in the Sonic Universe. These characters and levels are so cool. If you are a fan of the classics you need to give this one a try!